For both businesses and individuals today, online banking can make it easier to conduct transactions without even having to leave home. Through online banking services, banking customers are able to check balances and complete transactions even on mobile devices. Since the Internet is a global service, users are even able to check their bank accounts while at work or even from foreign countries. Online banking has the advantage of making transactions easier by allowing most activities to occur online. In today’s world of electronic communications, this can streamline paying bills and checking account balances. In addition, this can result in substantial time savings because you don’t have to waste valuable time making a trip to the bank just to check on an account. Instead, individuals and businesses can check all of their accounts by simply logging in through their web browsers. By using encryption technology, online banking is somewhat secure — as long as the encryption algorithms are not compromised. 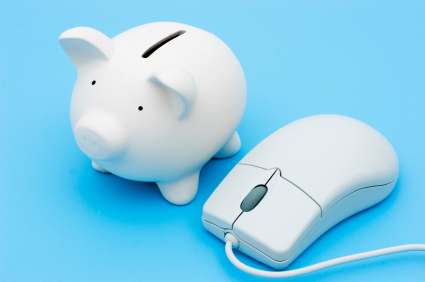 Online banking can be especially useful for individuals who hold foreign accounts in other countries. Rather than having to fly over or make a phone call over an unsecured line, they can just login to check their account balances. Due to the advantages of this technology, it has become widely adopted today and is one of the most important competitive factors in the banking industry. While online banking is great for conducting transactions faster, it can also create security vulnerabilities that could potentially result in huge losses. Some users have actually been known to save their passwords on their computer, and as a result unscrupulous individuals have created viruses capable of scanning computers for this sensitive information. If online banking credentials become compromised, businesses and individuals can potentially lose hundreds of millions of dollars. Through a simple online portal, a hacker could potentially conduct a wire transfer to quickly transfer funds to foreign account before cashing out. There are also issues related to the security of the encryption technologies used. There have been cases in the past where the formulas used to develop security keys have actually been compromised. When this happened, governments and nefarious individuals were essentially able to see all of a person’s bank records. While security keys were changed, this still left in indelible stain on security of the online banking industry. For individuals who are wary about the security vulnerabilities of online banking, the reality is that there are few alternatives available today. Fortunately, unless you use an online-only bank, you can still use the same services that have been used for decades at a traditional bank branch office. Many users have not even opened an online banking account and have instead chosen to continue to use ATMs and the personalized services available inside banking institutions. While security is never perfect (because the bad guys are always looking for a workaround), most companies have done a good job of avoiding most intuitive security vulnerabilities. For example, mobile deposits are usually limited and automatic algorithms are used to detect suspicious activity. If this occurs, the banking institution might get in touch with the user to ensure that the transaction is valid. In some cases the bank might even decline a withdrawal and ask a user to come into a branch office to verify that a large transfer is valid. This ensures that online banking customers are able to enjoy these services with a measure of security that protects them from financial harm. If carefully used, online banking can be a much better way to go for individuals seeking to use banking services today. For most users, the convenience of online banking far outweighs the potential consequences of having an account compromised. And most companies today expend great amounts of resources to ensure that their online banking platforms are as secure as possible.